These strange and intricate beauties have started opening up all over the garden at the moment. Passionflower (Passiflora incarnata) is a mildly sedative and antispasmodic herb, helpful for insomnia, gastrointestinal disorders and an overactive brain. 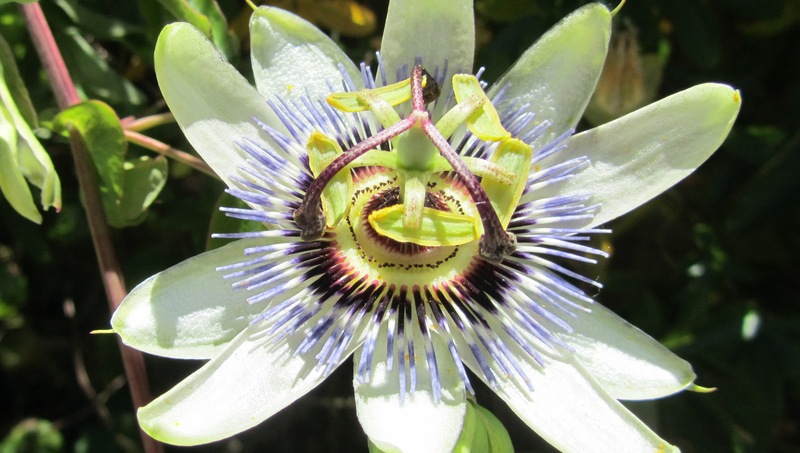 Passionflowers are so-named because the complex flowers were thought to represent Christ’s suffering on the cross – the ten petals and sepals represent the ten faithful apostles, the three stigma the nails, and the corona filaments symbolise the crown of thorns.